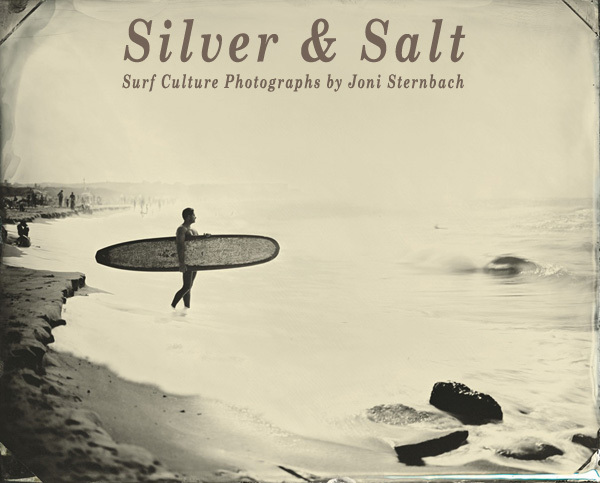 Soulcatcher Studio is proud to present Silver & Salt: Surf Culture Photographs by Joni Sternbach. This exhibition features many new images, being shown to the public for the first time. 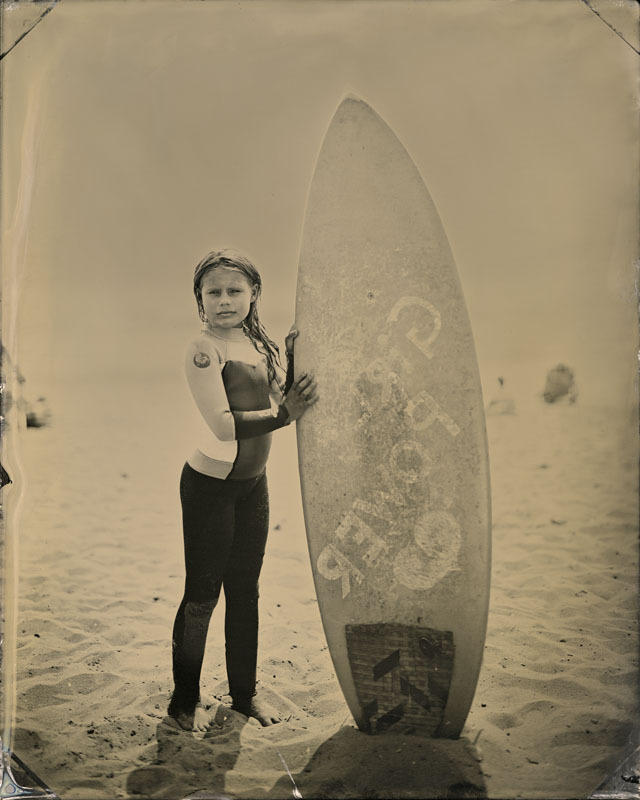 This work is part of a long-term project that began in 2006, making contemporary portraits of surfers created using the historic wet-plate collodion process. An 8×10″ or 11×14″ aluminum plate is hand-coated and sensitized in a bath of silver nitrate just before being loaded in the artist’s 19th-century-style, wooden view camera. Sternbach uses a variety of antique brass and modern lenses. The entire process is done on location, with a portable darkroom. This very labor-intensive process has changed little since its invention in the 1850s. 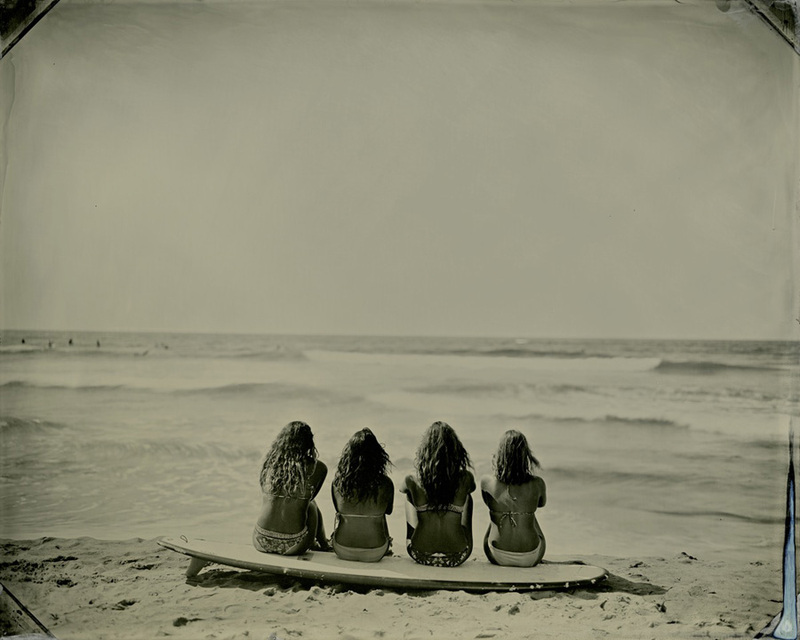 The photographs are a unique blending of subject matter and photographic technique. 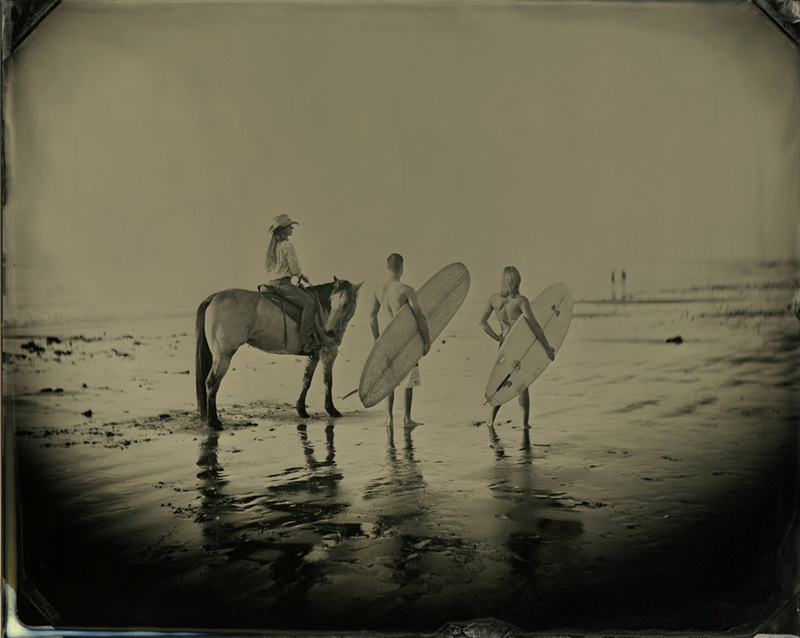 Part craft and part theatre, the instantaneous wet-plate collodion process allows Sternbach to create one-of-a-kind tintypes that are imbued with a feeling of ambiguity, timelessness and mystery. 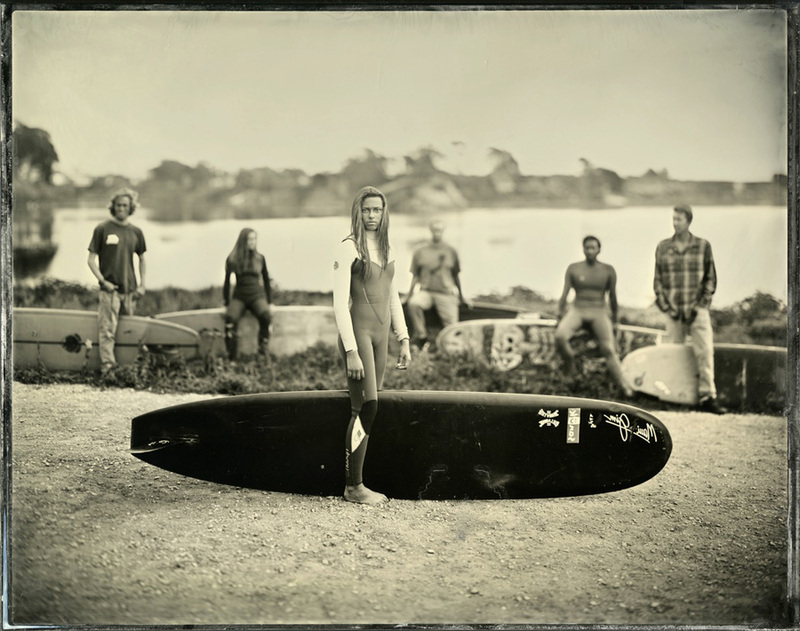 Sternbach has circled the globe capturing her unique images of surf culture, visiting beaches on both coasts of the United States, as well as Australia, England and France to continue the series. 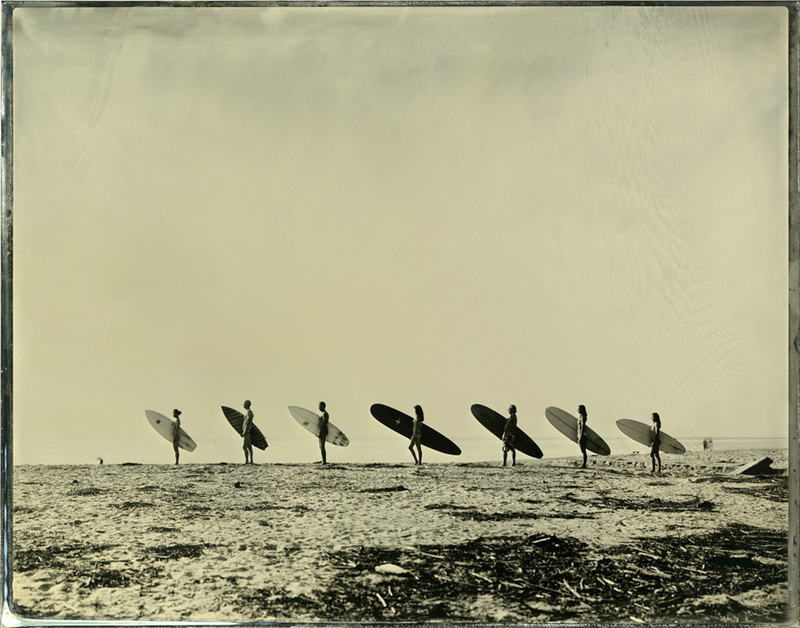 Sternbach’s latest monograph, Surf Site Tin Type (Damiani Editore, 2015), is a chronicle and celebration of these fascinating denizens of regional surf spots around the world. Sternbach’s work is exhibited both nationally and internationally and held in many prominent private and public collections, including the Smithsonian National Museum of American History (Washington, D.C.), Bibliotheque Nationale (Paris, France), Museum of Fine Arts (Houston, TX) and the International Center of Photography (New York, NY). Her work has also been featured in publications around the world. 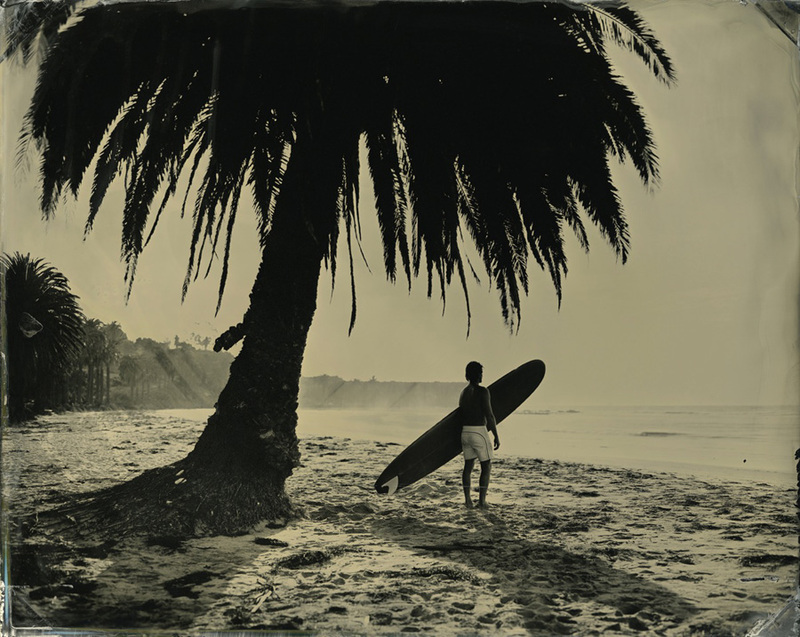 Signed copies of the limited edition presentation of her monograph SurfLand (which includes a signed and numbered, limited edition pigment print photograph) are available in our bookstore (scroll down to the Limited Edition section). 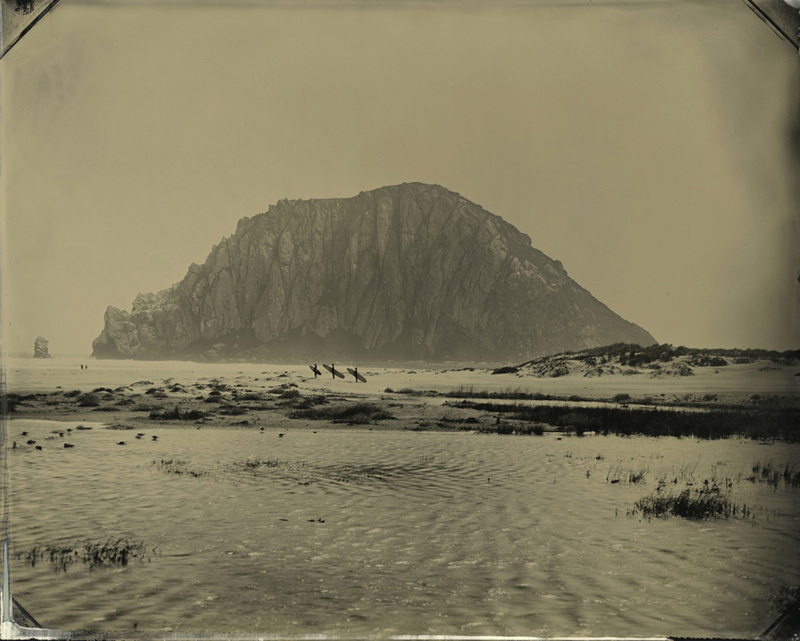 The Process: Sternbach uses the historic and instantaneous wet-plate collodion process (which dates back to the 1850s) to create one-of-a-kind tintype photographic plates. 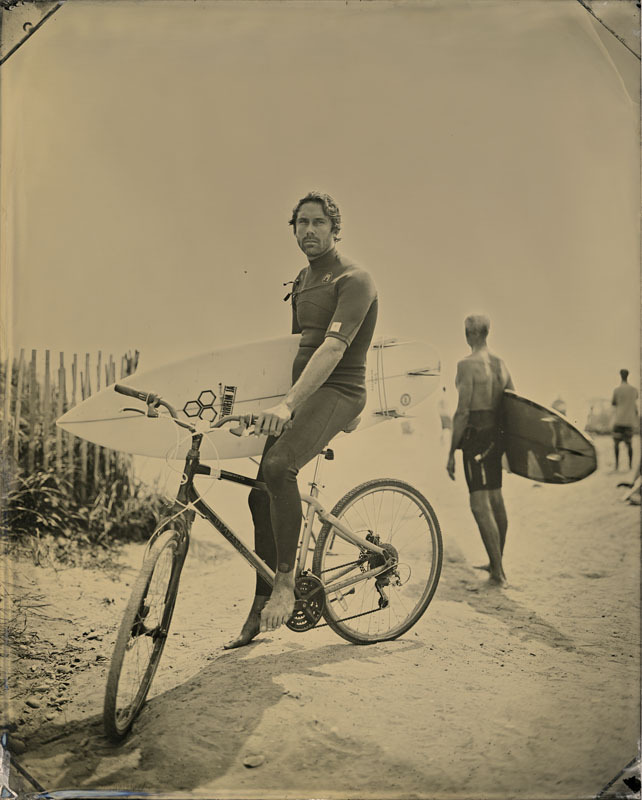 An 8×10″ or 11×14″ aluminum plate is hand-coated and sensitized in a bath of silver nitrate just before being loaded in the artist’s 19th-century-style, wooden view camera. Sternbach uses a variety of antique brass and modern lenses. The entire process is done on location, with a portable darkroom. The tonal variations in the finished images reflect their hand-made character; the corners rubbed where they were held in the camera. 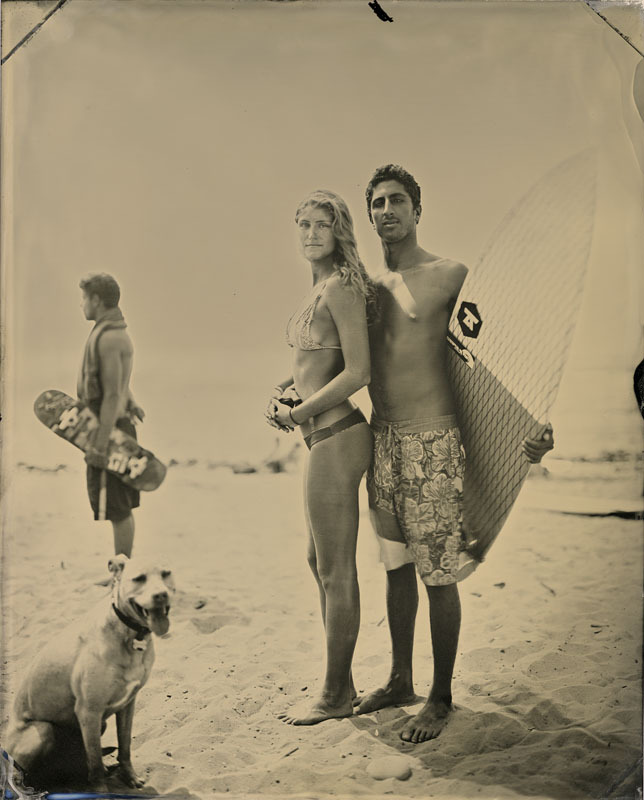 The original, finished plates are later scanned to create these archival pigment print photographs. 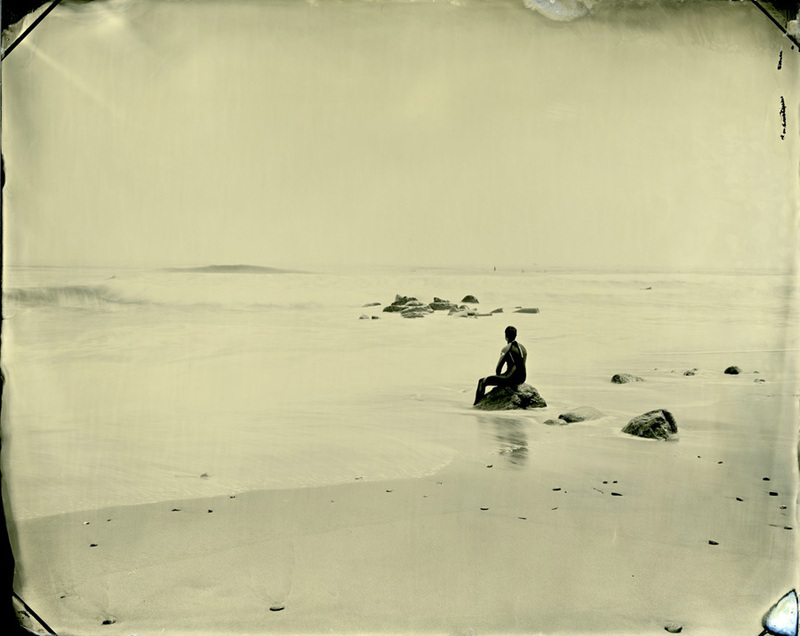 8×10″ image printed on 8.5×11″ paper (in a limited edition of fifteen numbered prints, plus two Artist Proofs). Prices start at $550.00 and increase as the edition sells out. 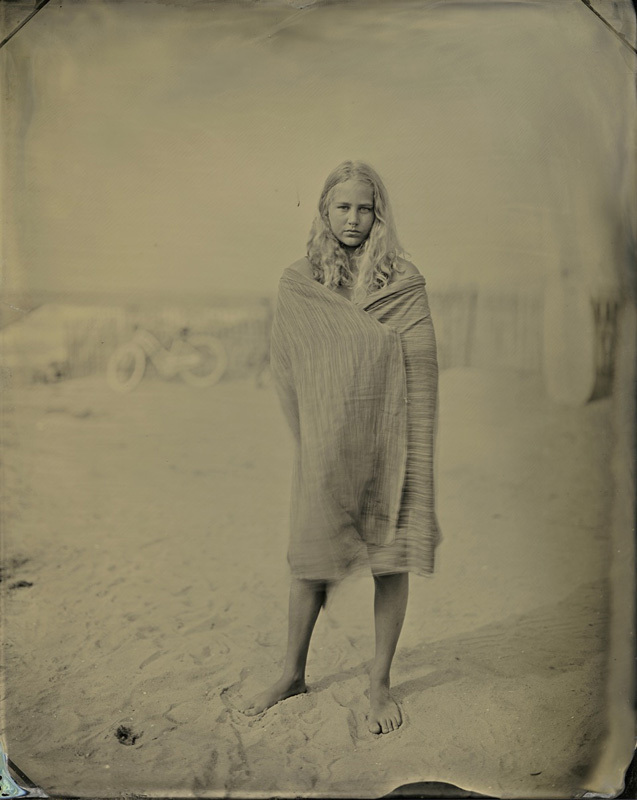 18.5×23″ image printed on 20×24″ paper (in a limited edition of eight numbered prints, plus two Artist Proofs). Prices start at $1,900.00 and increase as the edition sells out. *Triptychs are available in one print size: Approx. 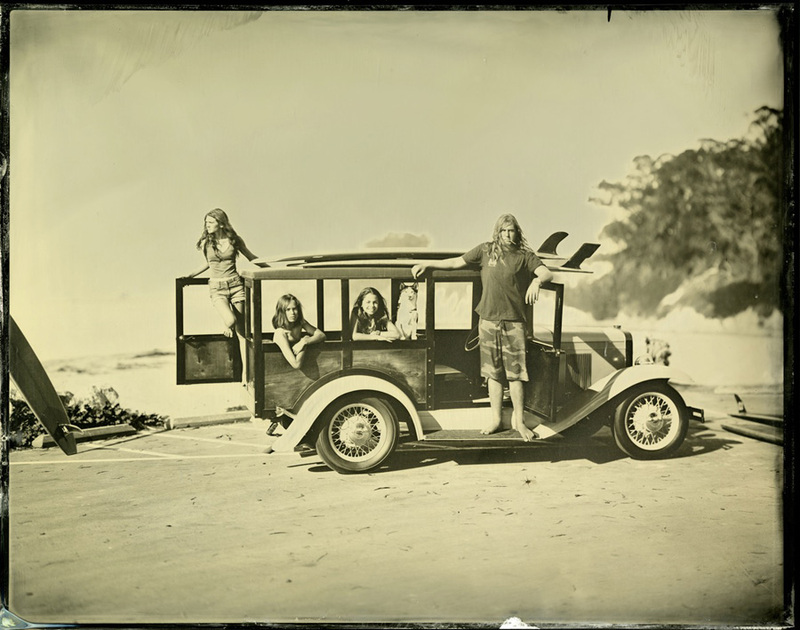 9.5″x23″ image printed on 20×24″ paper (in a limited edition of 8 numbered prints, plus two Artist Proofs). Prices start at $1,900.00 and increase as the edition sells out. We hope you enjoy this exhibition and sale of timelessly beautiful fine art photographs.